The new medical device is being used by dermatologists with its pattern recognition algorithms to help a dermatologist decide whether to do a biopsy on a skin spot. To many observers, a small brown mole on the upper arm might not look like a big deal. 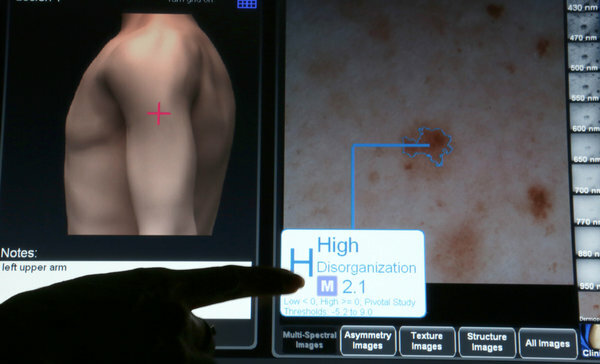 But on the MelaFind screen, which is a new computer vision system for doing skin lesion imaging, the jagged blue line shows the entire border of the mole. The new medical device is being used by dermatologists with its pattern recognition algorithms to help them decide if a suspicious spot needs to have a biopsy or not. This device could serve a real public health purpose, especially among sun lovers who are worried about developing melanoma. It is thought that up to 9500 Americans will die of the severe skin cancer this year. 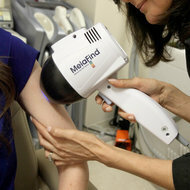 However, this new device is drawing a lot of varying opinions in the skin cancer field, some of them far from positive. For many years, dermatologists always relied on their eyes and a dermascope to try to figure out which lesion was benign and which could be melanoma. This was to avoid unnecessary biopsies, which are expensive and invasive for the patient. Some dermatologists say that the old-fashioned tools are still the best for determining which lesion is melanoma. They say that some of their colleagues are falling for expensive gadgets that offer data that is not accurate. Some dermatologists say that the technology should still be thought of as in the early stages and only developmental. One, Dr. Robert Lucas, says that the field is better off when the system is supporting doctors who are not in a hurry and are thorough. Those who listen to the patient carefully and encourage the patient to have good surveillance and strong sun protection. Some experts on a medical panel that were asked to review MelaFind for FDA determined that the device can give some patients and doctors a sense of security that is not justified by the data. MelaFind can analyze small lesions that have been ID’d by dermatologists as having some signs of melanoma, it is not made to look for other problems. Some of these include big melanomas, colorless melanomas and other types of skin cancers. One doctor on the panel said that she was worried that a doctor could use MelaFind on a skin cancer that was not melanoma, and give it a score that states that the spot is not irregular, and could decide to not do a biopsy on it. She then recommended that the device not be approved by FDA. Some biostatisticians in the public health field are critical of the medical device, because they say it can show that so many lesions are melanoma, but by providing false scores for many non melanoma lesions. This could still cause many doctors to do biopsies that are not needed. 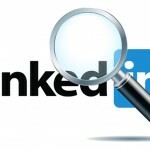 SEE ALSO: Biostatistician Public Health Career, Salary & Job Description – Statistician, “Dream Job of the Next Decade,” according to Google’s Chief Economist. The concern that these public health professionals have is that the device shows too many lesions as positive. They say that the device is not going to help a doctor who is aggressive, and doctors who are not aggressive could do fine if they are more careful just using the old-fashioned tools that doctors have been using for decades to detect melanoma. One biostatistician stated that the accuracy for MelaFind is similar to a pregnancy test, which if it was used on 100 women who were not pregnant, would conclude that as many as 90 were pregnant. How useful is a device with so many false positives? To help me visualize that issue, Jason Connor, a biostatistician at Berry Consultants, a biostatistics consulting firm, compared the accuracy of MelaFind in distinguishing non-melanomas to a hypothetical pregnancy test which, used on 100 nonpregnant women, would mistakenly conclude that 90 of them were pregnant. The medical device has 10 wavelengths of light that it uses to see as much as 2.5 millimeters deep into the skin layer and takes pictures of the different layers. In just a minute, the machine can show a numerical score, which indicates that a mole might be irregular but is not likely to be a melanoma. Doctors who like the device say that it helps them to see what they can’t see with the eye.